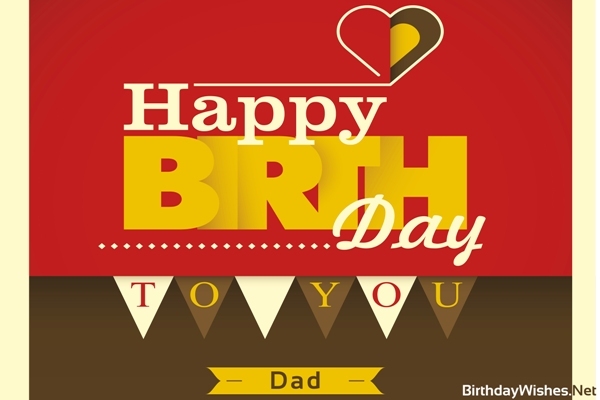 Happy Birthday to the word’s best Dad! Happy Birthday to my personal hero! When I grow up I want to be a great Dad like you. I’m so grateful that God gave me a father like you. May you always be happy and healthy in all your life. Wishing you a very Happy Birthday from the bottom of my heart! You made my life a unique and pleasant experience providing me with all the assistance I needed to overcome every obstacle that was on my way. Thank you for everything. Thank you for being in my life. Happy Birthday Dad! You are the reason I’m here and everything I am. Thank you for always being there for me. Thank you for what you’ve done for me. Thank you for being so kind and caring through all those years. Words in any language can’t describe my feelings for you. I can never thank you enough for what you so profusely gave me all those years. May God bless you with peace and happiness. Happy Birthday Dad!